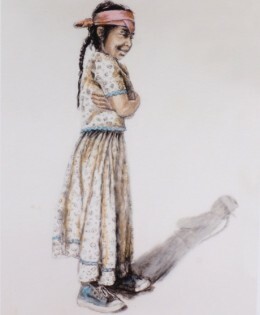 This Native American girl is amused at the macho boy showing off to get her attention, Seems the wall is also amused. 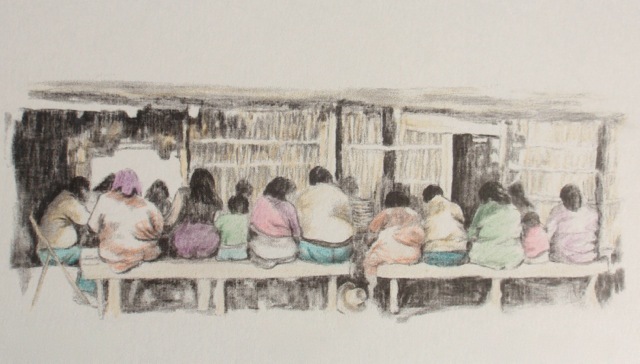 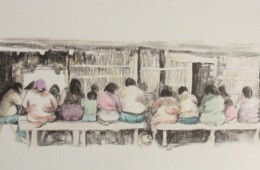 The Tohono O’odham People love a feast. 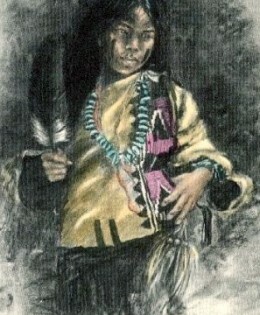 Native American Ceremonies and Religious events are the reason. 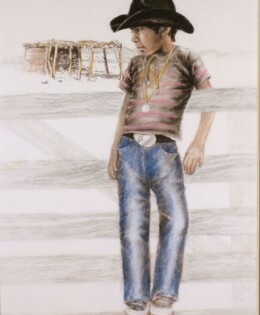 This Tohono O’odham cowboy is showing off to get the attention of a pretty girl standing nearby. 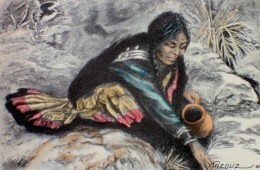 This Native American Medicine Woman explains the Healing and Medicinal qualities of the plants as she reaches into her bundle to show the herbs she has gathered. 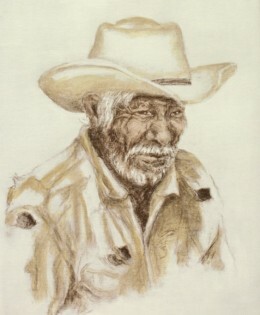 This respected Tohono O’odham elder hands down the stories of the ‘Desert Peoples’ to the children. 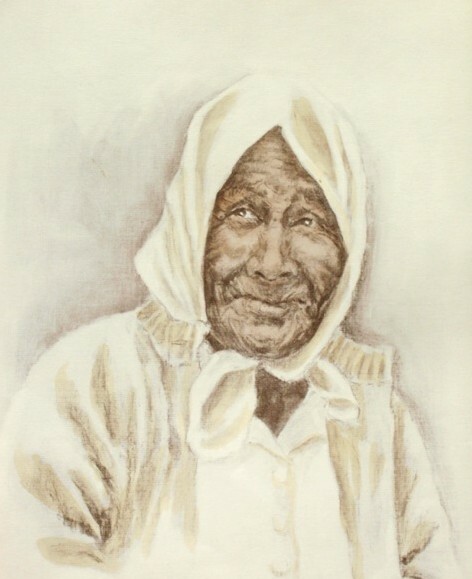 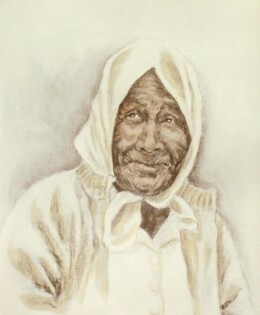 This Tohono O’odham Elder listens as her husband passes along the oral traditions to the children, and with a twinkle in her eyes glances toward her husband as he tells a good joke. 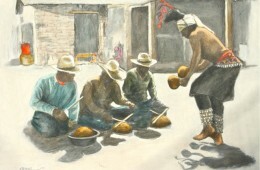 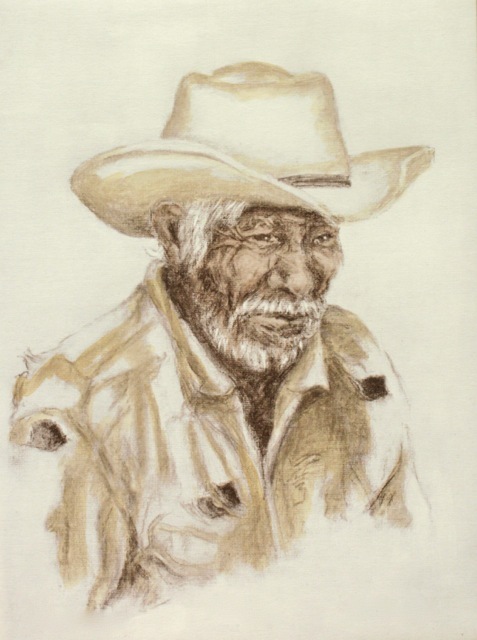 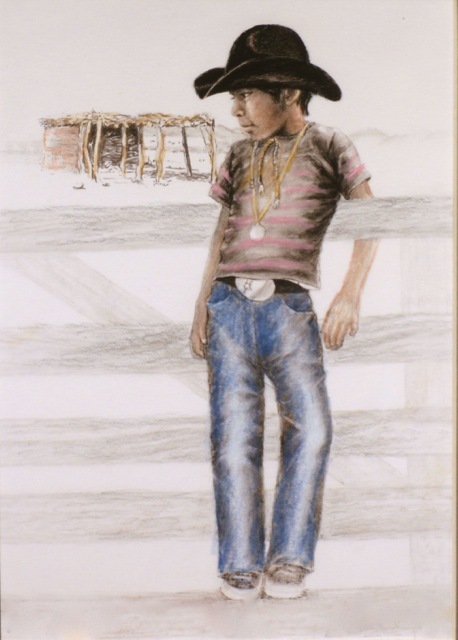 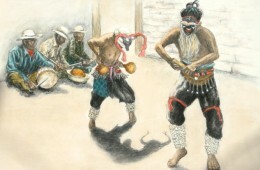 The traditional Easter Ceremonies of the Yaqui Indians are performed in villages in Sonora Mexico and Tucson AZ. 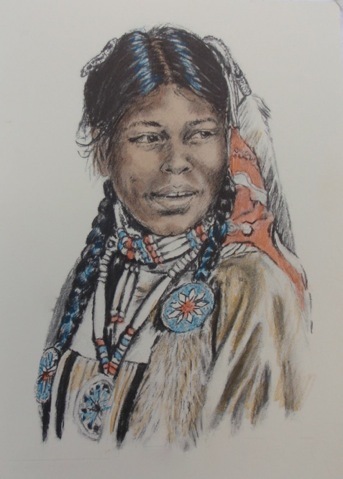 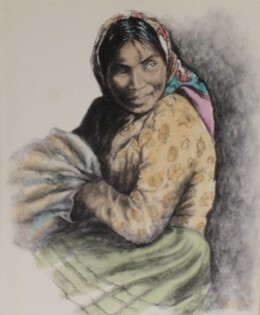 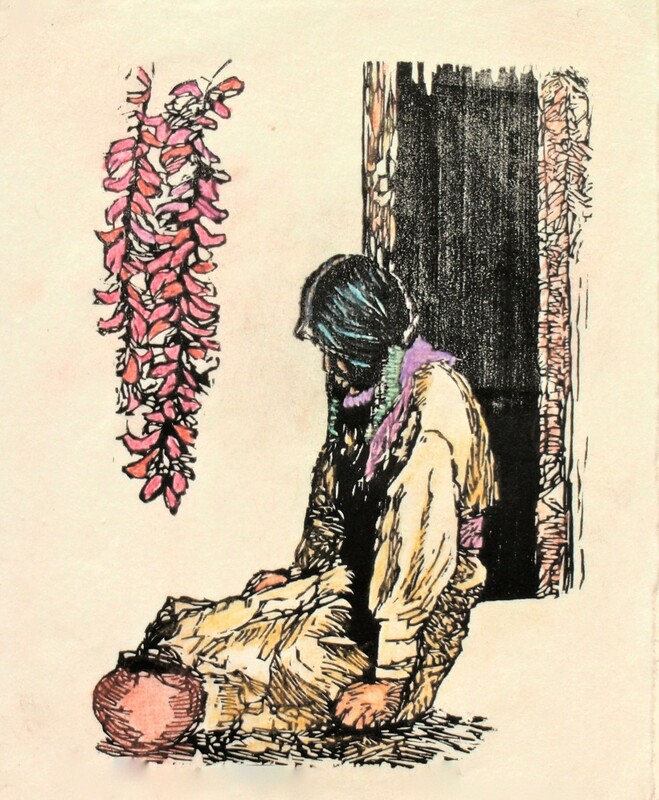 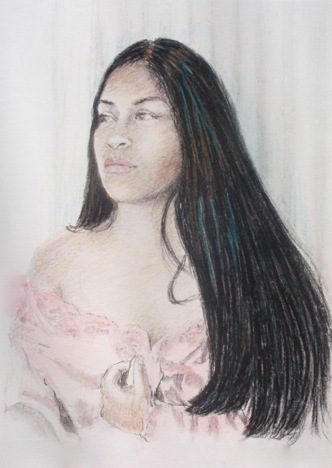 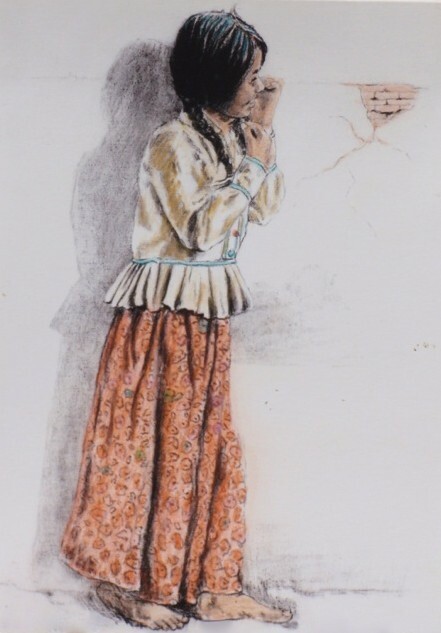 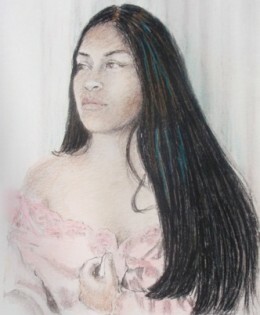 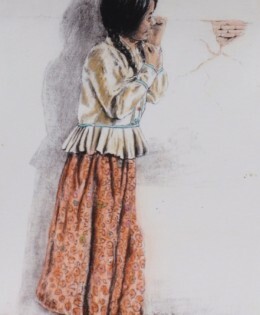 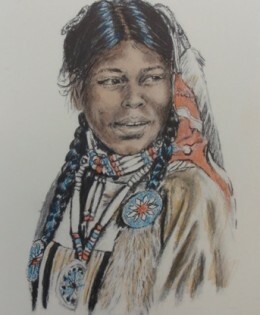 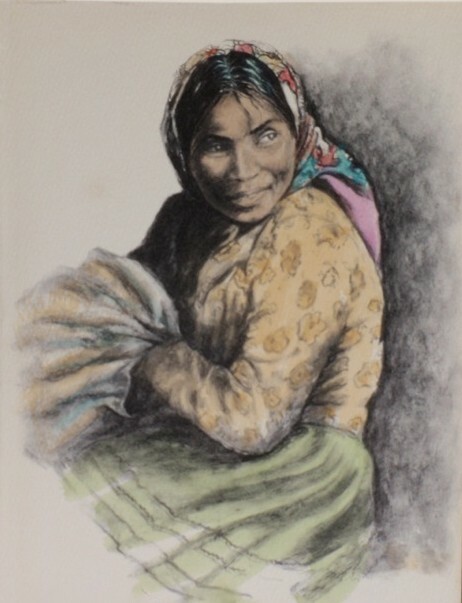 The Elegant Dignity of this Yaqui Indian woman shows in her clear yet innocent Beauty. 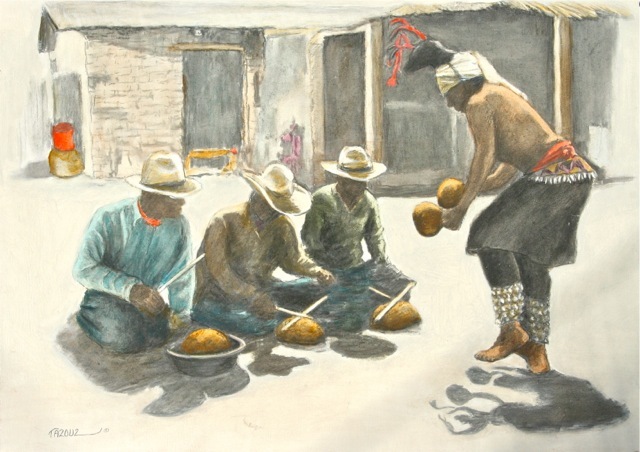 The Pascola Dancers are part of the Yaqui Indian Ceremonies. 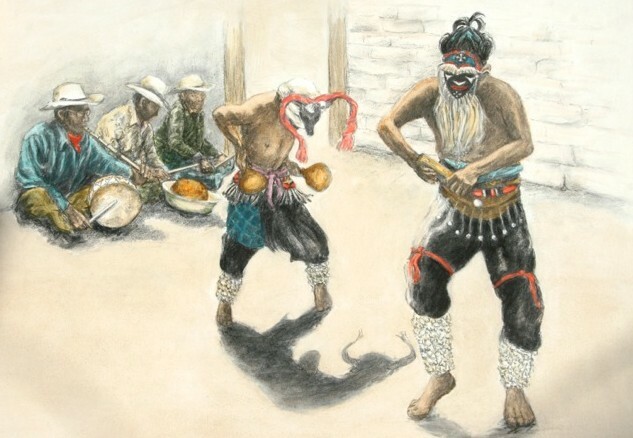 They put on masks and then taunt the Deer Dancer to try to distract him. 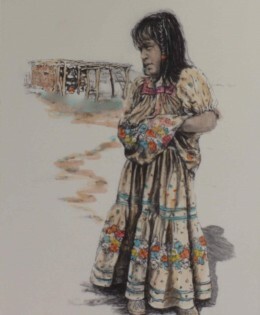 The villages are in Sonora Mexico, and Tucson AZ. 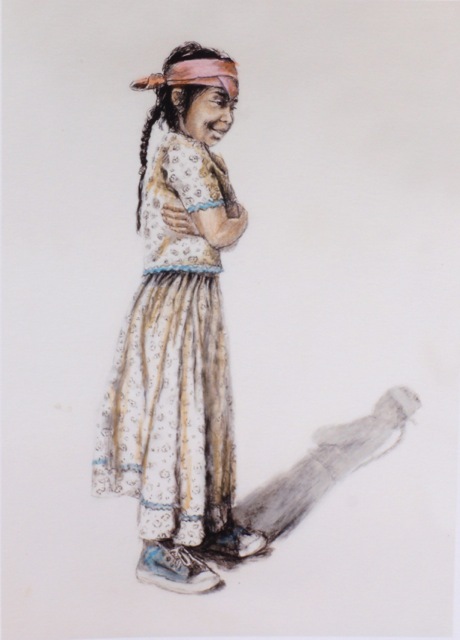 Holding the feather the Eagle dropped for her, this Zuni girl gives her gift the reverence it deserves. 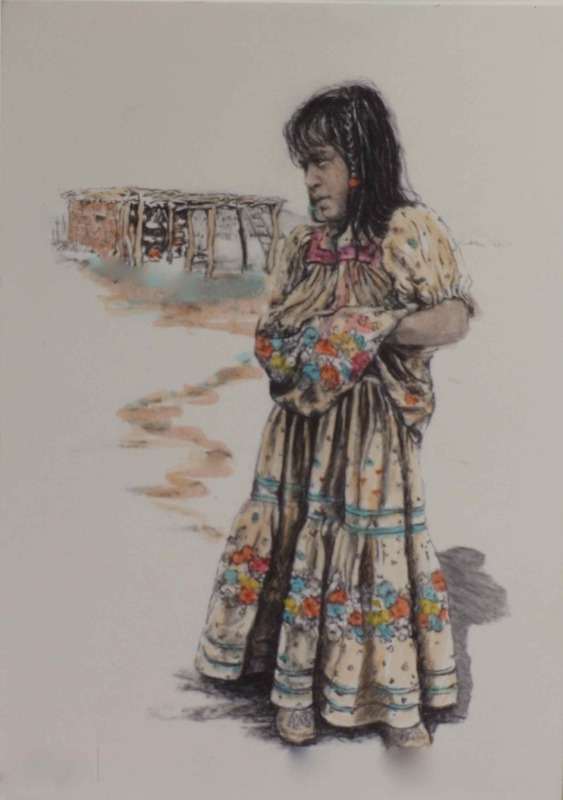 As two soaring Eagles cast their shadows behind a Zuni woman, she takes on the form of an Eagle herself and many winged images appear in the background. 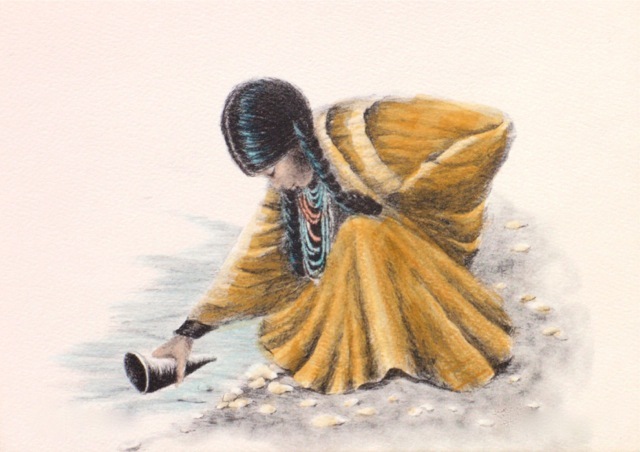 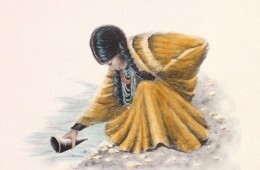 Filling her drinking vessel with water this Native American maiden reflects on the heritage of her people. 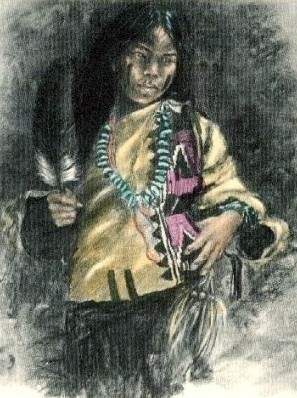 As she looks deeper she sees her ancestors spirits and in that moment she knows who she is. 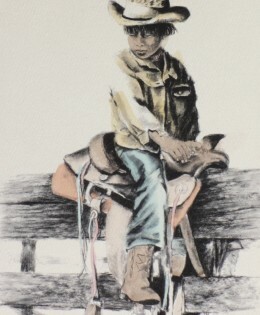 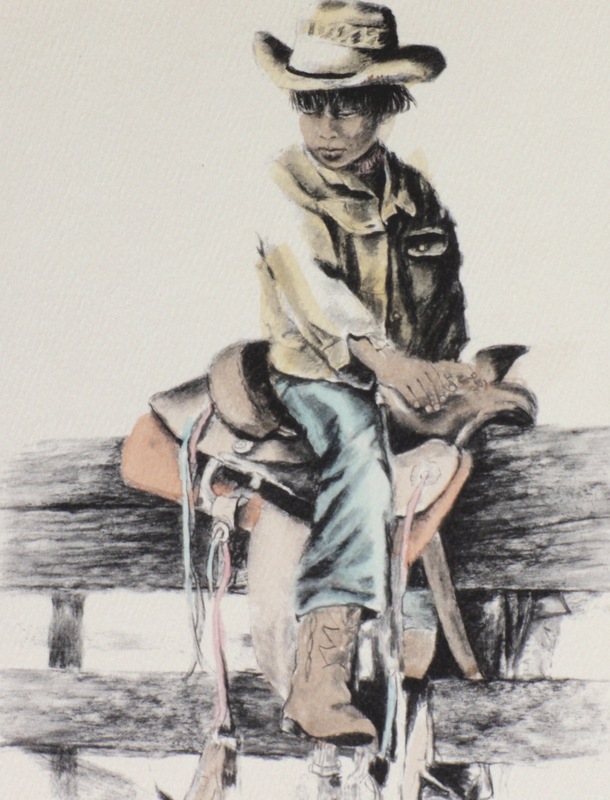 This Hopi woman from New Mexico is quietly meditating before her customers arrive to buy her chillies..
Lost in the dream of riding the range, hoping for a real horse to manifest, the young boy is surprised when a few weeks later he is given a pony by a kindly neighbor.